THIS PROGRAM WON’T BE OFFERED AGAIN, SO GET YOUR COPY NOW! You don’t want to come across as pushy, so you stand back and let the prospect take control, ultimately walking away with no new client! 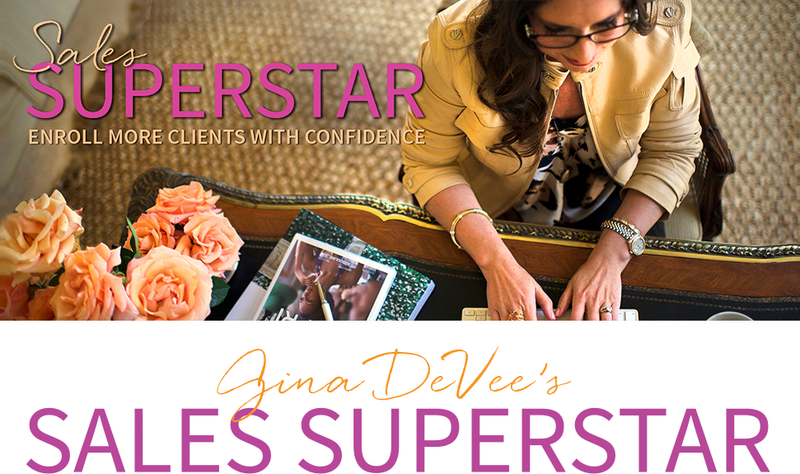 It’s YOUR TURN to feel confident and empowered in serving paying clients who genuinely need what you have to offer! 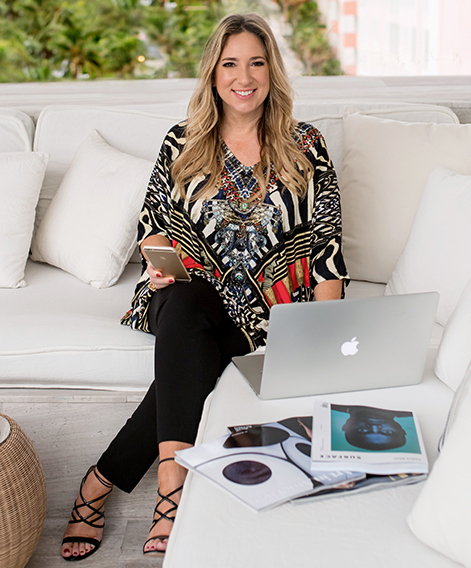 Why are so many conscious, well-meaning business women soooo TERRIFIED of coming across as “salesy”? Because it reeks of being inauthentic, makes us feel like we’re harassing people and is so clearly the OPPOSITE of our mission and values! This is not about manipulating anyone to do anything they are not in alignment with. It’s about supporting your prospects to further their goals, desires and even their destiny! 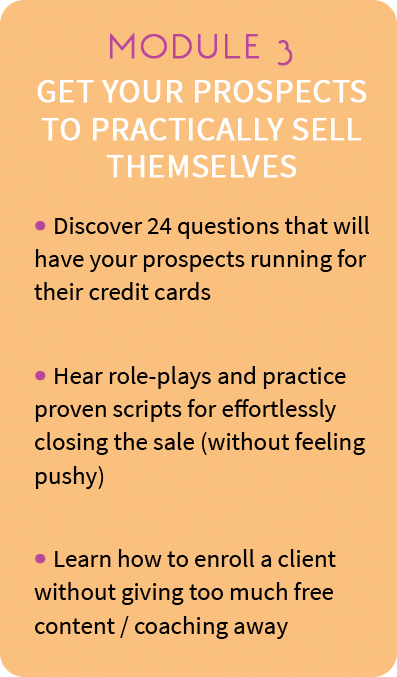 With Sales Superstar, you’ll discover how you can sell with integrity by simply being a fiercely loving advocate and calling people to their highest and best life. STILL—I could hardly bring in a single client, even though I was a great coach! So if you’re struggling to sell your services, know that you are MORE THAN “good enough” and that there are PLENTY of people out there who DO NEED what you have to offer! 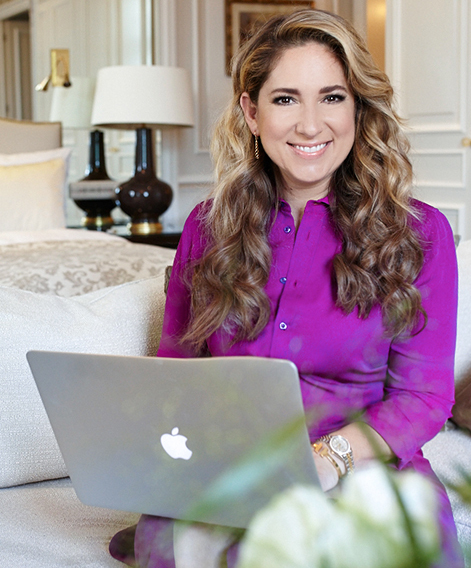 Overcoming these issues opened up the floodgates to the clients and money I desired and deserved. The result? Today, “sales” is as joyful to me as having a cup of tea with a friend. From a relaxed place in my core, I’m consistently able to “sell” $1K, $10K, $25K, $50K packages and programs. The process feels natural, non-desperate and authentic. That’s because I’m confident in myself and my ability to serve, I know what I can do and what I can’t, and I LOVE helping other women succeed! And it’s not about “taking their money,” it’s about helping them! Which is why, after MANY requests from clients who know my work and have seen me share snippets of what I say on “sales calls,” I created Sales Superstar. 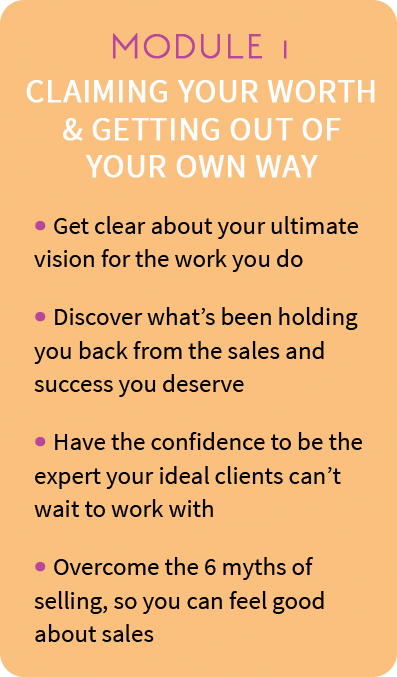 So get your copy of Sales Superstar, and let’s overcome those barriers to you living your purpose, serving others and bringing in the money you DESERVE! 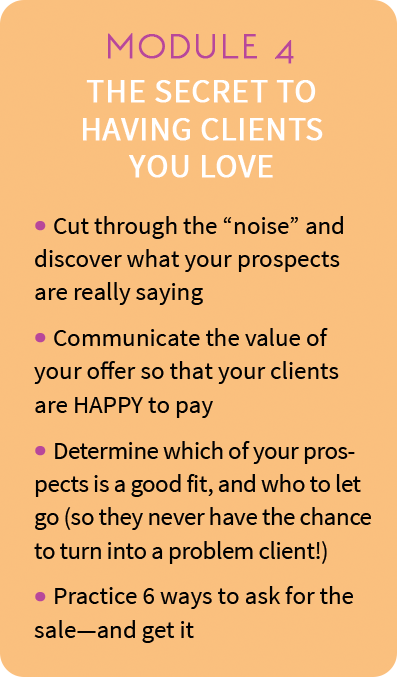 THESE MODULES WILL MAKE YOU FALL IN LOVE WITH SALES! When I ran this program live, the biggest request I received from participants was for more on-the-spot coaching and role-play demonstrations. So I recorded over 6 additional hours of bonus training (worth $2,500) that you’ll receive FREE when you purchase Sales Superstar today. Over 130 pages of important notes, exercises and scripts from the program! This is where the magic happens. 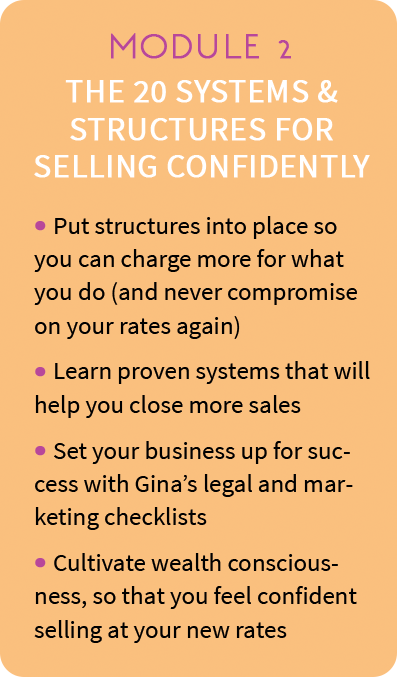 The 90-120 minute audios include Gina’s on-the-spot coaching, role-play and strategies that will transform the way you think about selling. PLUS, Over 6 Hours of Bonus Audio Trainings with Gina!